Senator Bob Graham is the former two-term Governor of Florida and he served eighteen years in the United States Senate. He was recently appointed by President Obama to co-chair the Bipartisan National Commission on the BP oil spill, and was also appointed by President Obama to Chair the Financial Crisis Inquiry Commission. 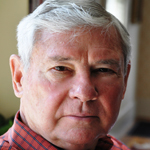 Bob Graham has also been a regular contributor to National Public Radio's Morning Edition, a frequent guest on CNN, Fox, and MSNBC News, and has written opinion editorials for the New York Times, Washington Post, Financial Times, Chicago Tribune, Boston Globe, Miami Herald, and many other newspapers and magazines. Bob and his wife Adele reside in Miami Lakes, Florida.